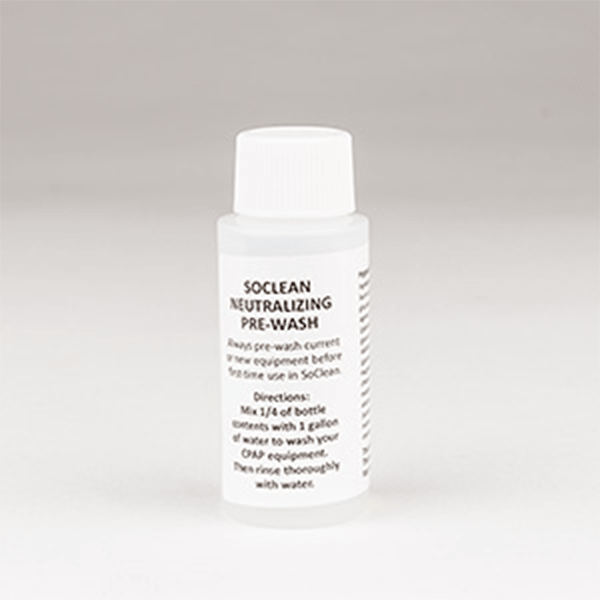 The Neutralizing Pre-Wash is a fragrance-free hypoallergenic cleansing solution for CPAP equipment. It is strongly recommended that you use the pre-wash anytime you hand wash your CPAP equipment. Use the pre-wash in your sink with water, like you would with ordinary dish soap.